Nashville, TN, September 10, 2013 — On October 10-12, the Nashville community will come together for inspiration and innovation in a gathering of the city’s creative, entrepreneur, and non-profit changemakers. The Creativity Moves Nashville 2013 Conference celebrates Nashville’s role as a national leader at the intersection of creativity and philanthropy. The event will take place at Vanderbilt University, in partnership with the Curb Center for Art, Enterprise, and Public Policy, with advanced registration available online at creativitymovesnashville.com. From mobile apps that revolutionize education and health care, to music programs that help children find their voice, Nashville leaders are finding meaning by applying their creativity to benefit the community. The event on Friday, October 11, features inspiring talks from social entrepreneurs, artists, music industry executives, and cause advocates who are using creativity to make an impact both locally and globally. Conference attendees will gain innovative strategies that blend creativity, passion, and giving to launch philanthropic programs and big ideas that makes a difference. A limited number of seats are available for a pre-conference professional development workshop on Thursday, October 10. The workshop offers in-depth, hands-on training and personalized coaching on how to tell your story, clarify your brand, develop strategic partnerships, and discover new opportunities for success through a mindset of creativity and giving. The conference also includes a special performance on Friday evening by the nationally touring cast of Playing By Air, performing with Nashville musicians who incorporate charitable causes into their missions. Dr. Jacob Weiss, Creativity Moves Nashville founder, recognized that creative individuals are looking for ways to give back to their community, while they are actively developing their talents and careers. At the same time, local non-profits are seeking creative strategies to build awareness, fundraising, and experiences for their organizations. The 2013 conference aims to be a catalyst for the Nashville community to open dialogue and strengthen opportunities that connect local entrepreneurs, artists, and non-profits for city-wide wellness, cultural, and economic growth. 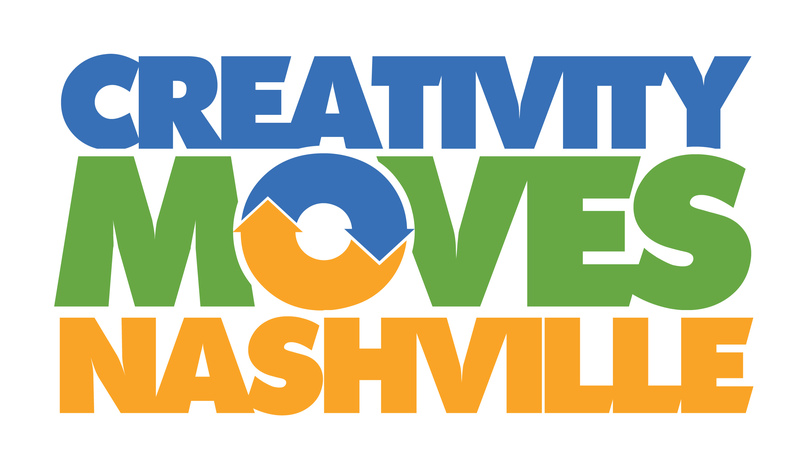 Creativity Moves Nashville will take place October 10-12 at Vanderbilt University’s Student Life Center. The conference is being held during the month of October as part of the city-wide Artober Nashville celebration of the arts led by the Metropolitan Nashville Arts Commission. As a commitment to giving back, the conference program also includes a community mural project led by artist Beth Inglish on Saturday, October 12th. Speakers include a wide range of entrepreneurs, cause advocates, and creative industry leaders: Sam Davidson (event moderator, co-founder of Cool People Care and Batch Nashville), Art Wasem (founder of Foothill Entertainment Group), and Jessica Harthcock (co-founder of Utilize Health), along with other inspiring presenters. Interactive sessions and workshops will be led by branding and community experts, including Kia Jarmon (The MEPR Agency), Matt Cheuvront (Proof Branding), David Hutchens (organizational storyteller), and Nancy VanReece (Mothers Digital). A special panel on A Vision for the Future of Nashville's Creativity & Causes will be moderated by Rondal Richardson, Entertainment Industry Relations Manager for Vanderbilt University Medical Center. The panel features music industry and city leaders including Debbie Carroll from the MusiCares Foundation, Teresa George from the Academy of Country Music, and Jen Cole from the Metropolitan Nashville Arts Commission. Details, schedules, and ticketing information for the events on October 10-12 are available online at www.creativitymovesnashville.com. Seating is limited, and attendees are encouraged to register early. 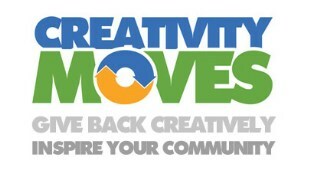 Additional speakers, sponsors, and giveaways will be announced leading up to the conference on the Creativity Moves Facebook Page (Facebook.com/CreativityMoves). Creativity Moves Nashville is a gathering of Nashville's innovative creative leaders, thinkers, and doers who believe in the power of creativity to do good and transform our community. Founded in 2012, Creativity Moves Nashville is an initiative of Playing By Air Productions, and High-Wired Communities, in partnership with Nashville community leaders. The 2013 conference is made possible by the support of community sponsors and partners including the Curb Center for Art, Enterprise, and Public Policy, The Village Fund, Artober, Metropolitan Nashville Arts Commission, Arts & Business Council of Greater Nashville, Nashville Creative Group, Beth Inglish Art, The MEPR Agency, Resolve TV, Abrasive Media, Nossi College of Art, Now Playing Nashville, Sam Davidson, David Hutchins, Jody Lentz, Foothill Entertainment Group, Creators’ Freedom Project, No Starving Artist, The Tour of Smiles, The Sing Me a Story Foundation, The Skillery, Proof Branding, Mothers Digital, Living Your Best Life with Genma Holmes, Interactive for Good, and Songs-4-Cause.